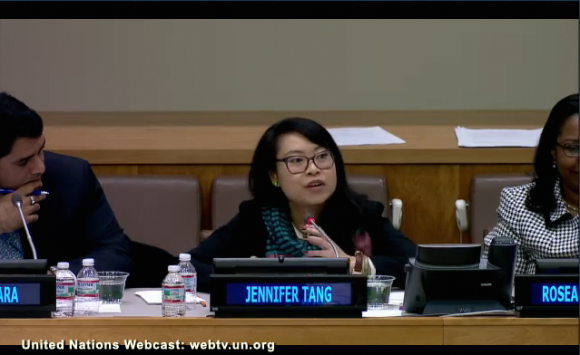 On November 20th, 2014, CERG Research Associate Jennifer Tang was invited to speak at the UN Department of Public Information NGO briefing celebrating the 25th anniversary of the Convention on the Rights of the Child. The event featured International experts, youth activists, and performances by children on the theme “Have you heard us? Children’s voices in creating a world fit for all.” Jennifer’s presentation “Changing the way we listen for meaningful children’s participation” considered why children may still not be heard in children’s participation fora, and how children themselves are changing how we listen to them. The event can be viewed on UN WebTV here. The event program is available here.